Autotrader recommends car buyers shop for certified pre-owned (CPO) vehicles to find the best deal for the newest cars. Buying a car brand new can have surcharges that you might not expect or figure into your initial budget. But CPO vehicles are recently used cars with a manufacturer-backed warranty to ensure its reliability, along with a significant improvement in price. Putting together a top ten list of CPO programs for non-luxury vehicles, Autotrader recognizes the Honda Certified Pre-Owned Program as one of the best. The editors at Autotrader note that the Honda Certified Pre-Owned Program “touts excellent coverage that adds peace of mind to the brand’s products, which are already notoriously reliable.” There is peace of mind too, in knowing it has passed a rigorous inspection to exceed Honda’s high standards. Honda’s CPO program is one of the best, thanks in part to its powertrain coverage of 7 years or 100,000 miles, which is more than the average. It also has bumper-to-bumper coverage for one year or 12,000 miles. Honda’s CPO program fully transfers to future owners and has no deductible. Honda offers a line of models that have been favorites among driver for generations. Known for their reliability, excellent fuel economy, and well-equipped cabins, Honda models continue to be some of the best vehicles on the road. The Honda lineup includes the Honda Civic, Accord, Fit, and Clarity passenger cars; the HR-V, CR-V, and Pilot sport utility vehicles; the Ridgeline pickup; and the Odyssey, which is the ultimate minivan. 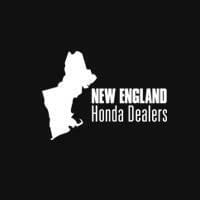 Learn more about the Honda Certified Pre-Owned Program by contacting us or by visiting your nearest New England Honda dealer. Explore current offers and sit behind the wheel your favorite model with a test drive today.